Welcome to this rare find in the Old Broadmoor Road complex. 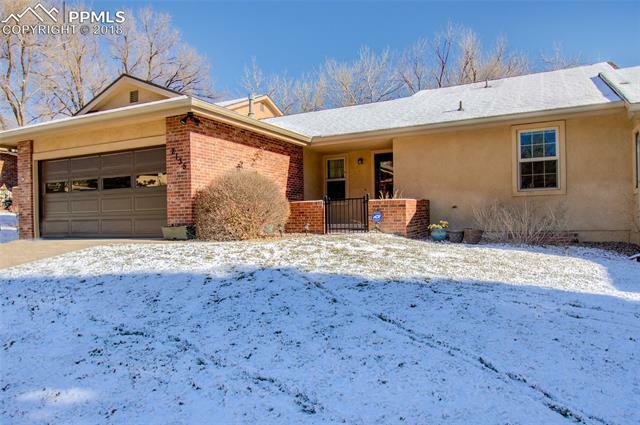 This unique, spacious property has been remodeled to include a spacious great room featuring a gas fireplace, hard wood floors, gourmet kitchen with stainless steel appliances and solid surface countertops. The main floor also offers a large master bedroom suite, second full bedroom, full bathroom and bonus sun room for cozy afternoons. © 2019 PikesPeak Multiple Listing Service. All rights reserved. Information deemed reliable but is not guaranteed. The data relating to real estate for sale on this web site comes in part from the Broker Reciprocity Program of PikesPeak Multiple Listing Service. Information provided is for consumer's personal, non-commercial use and may not be used for any purpose other than to identify prospective properties consumers may be interested in purchasing. The listing broker has attempted to offer accurate data, but buyers are advised to confirm all items. Information last updated on 2019-04-24.